Our Inventory Management program is customized for each client and is provided at no additional charge. We have set this program up to be as flexible as the requirements it must meet. Whether shipping to numerous destinations on a moment’s notice, or scheduling several long-term deliveries to a single location, we create each program to best fulfill the needs of the customer. AUSTAB offers a manufacture and hold system ensuring continuous supply. This service provides greater production efficiencies and lower costs. With same-day shipping, virtually unlimited stocking capacity and unlimited shipments, Austab Labels allows you to order up to a year’s supply of product at the lowest possible price and with maximum fulfillment flexibility. You decide how much inventory to carry whether it be an annual, semi-annual, quarterly or any other period. We’ll drop ship and bill as released. You’re never more than a day away from having product in hand. 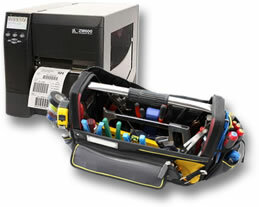 Austab Labels has technicians on hand to service your thermal printer. Your thermal printer is vital to your production and shipping times and can’t be out of commission when things need to get done. We’ll come over and examine your printer and fix it on the spot if it can be done or we’ll take it back to our facilities and repair it there in record time. If parts need to be ordered, we’ll discuss the issue with you so you are well informed of price and delivery times. Call us and rest assured your thermal printer is in good hands. Austab have geared their label printing bureau operation to IMMEDIATE RESPONSE – the vast majority of orders placed with us are processed within 24 hours. 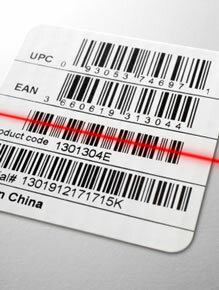 All barcodes are verified for correctness of specifications and content. Let Austab print your barcodes so you don’t have to fear incorrect number/data sequences. Austab Labels offer a wide array of labeling services with an underlying emphasis on service and quality. Depending on the type of label, most of our pre-printed label orders ship the SAME DAY as ordered. The Austab Service Bureau is capable of printing labels orders of all quantities (1 to 10,000,000) in rapid turn around time. We have large stocks of different sizes of thermal transfer labels in stock or off the shelf. With over 45 years experience in variable information printing we make sure you get the result you want….when you want it. 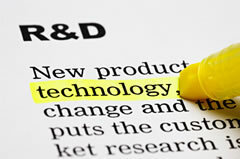 Should there be a specific label or tag requirement, the experienced AUSTAB Research and Development department will conduct trials and advise on suitable face stock, adhesives, backing sheets and inks best suited to your company’s needs. For further information about AUSTAB products, or technical advice please feel free to contact Customer Service.